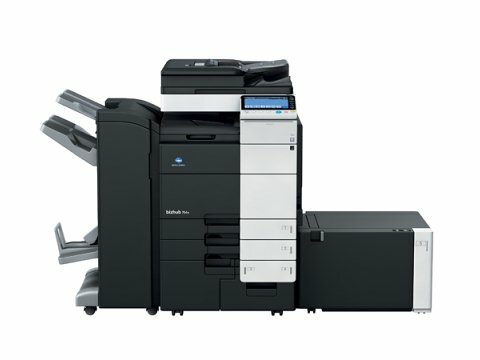 Impact Technology specializes in getting you the best quote for your used copiers. We BUY all major brands of functioning used copiers including: Canon, Kyocera, Konica-Minolta, Ricoh, Sharp, Toshiba, and Xerox. The copy machines we purchase may have low meters or high meters, and may be analog or digital models. We buy thousands of used copiers each month from organizations throughout the contiguous 48 United States, plus we pay cash up front and take care of all transportation costs. We prefer buying used copiers in bulk quantities of 5-500 per project due to the high transportation costs involved in transporting a single copier. Impact Technology often buys used copiers from large commercial accounts, government agencies, leasing companies and school districts. Once the data is destroyed, we will send you a data destruction log for your records. You can sell copiers to us with confidence and at the same time get cash back while knowing we recycled 100% of this resource! so when we purchase used copiers from you, we guarantee that your data will be destroyed before the machine is resold. Impact Technology is a leading national remarketer in buying and selling quality copiers. Our used copier warehouses are conveniently located in central Minnesota and Texas: our 85,000 s.f. corporate facility in Long Prairie, MN and our 25,000 s.f. satellite facility in Garland, TX. Interested in selling your used copiers to Impact Technology or want to find out more information? Please fill out the form on the right.